After going through this thread and seeing all the people banned for making jokes about the Xbox One, I almost feel like I should say something like, "The Xbox One is a legitimate gaming console" or "They definitely wouldn't fill that landfill with Xbox Ones!" or maybe even "ESRAM is a beautiful concept that will really give the PS4 the what-for!" I have no idea why you would want to chance making this post. So you're basically doing the same thing, just with sarcasm. Got it. Anyway, has the documentary been dated yet? and why question MS in this, so the hell what, Larry Hyrb could be as curious as anyone else on this. Looks like they'll have another upcoming one about it too (bottom of image). When ET was still in the ground wouldn't that have made it super terrestrial rather than extra terrestrial? 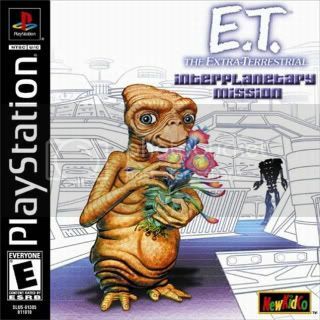 I can't believe nobody has tried to make another major game with the ET license. I mean with the infamy surrounding the original, you would think someone would try and rectify that and make some headlines doing it. I thought super terrestrial was more spiritual in nature whereas extraterrestrial simply meant not originating on Earth. You did not buy it, how will you know? There were other ET games. I would suspect that making one today would probably be impossible. Games are too expensive to just slap a vintage licensed property on some garbage game and have it sell enough units to show a profit. And the property isn't hot enough for a publisher to make a AAA ET game. Wouldn't it be sub terrestrial in that case, or am I missing something? I always believed this, so not a "Surprise!" But still neat to see pictures of. So, do we have any numbers in specific or is that saved for the documentary? Essentially you are correct, but since it has been discovered to be alive it is now confirmed to be super terrestrial. Schrödinger scenario. Looks like the carts are going to be divvied up. Some will go to museums and producers of the movie, but many are going to be sold off with "certificates of authenticity." Evidently there's 700,000 games still buried out there which can be exhumed if the city wants more cash. There are still over 700,000 games buried the in landfill outside of Alamogordo, NM, but they'll stay there... for now. What a load of crap. The only interesting part of the "myth" was the idea that there was an ocean of dead cartridges down there.......but they didn't even bother to confirm that part. So we're still left speculating as to the actual size and scale of the mass grave. James Rolfe (AVGN) better get one of those carts.